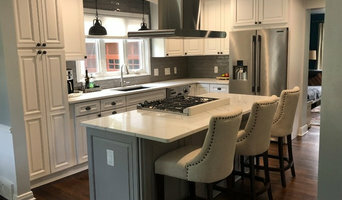 MainStreet Design Build is a full service, luxury design and build firm that caters to homeowners in Oakland County who value a high level of comfort and trust in knowing that their home remodeling project will be done RIGHT. For over 28 years, we have been creating award-winning home additions, kitchens and bathrooms in the communities of Birmingham, Bloomfield, Royal Oak, Pleasant Ridge, Troy and other select areas of metro Detroit. With an in-house design team, staff of carpenters and a deep bench of skilled tradesmen, MainStreet Design Build offers our residential clients the personal care, accountability, timeless design and exacting attention to detail that transforms remodeling ideas and dreams into precious living spaces. Welcome to Kendall Project Management! We are a construction management service dedicated to helping clients with the process of renovating their homes. We offer competitive pricing, design assistance, construction oversight, and access to talented trades. 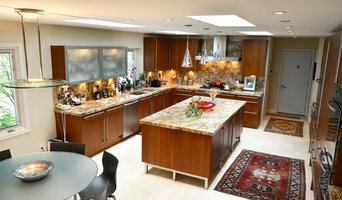 With 30 years of real estate experience, I know tips and tricks to making your home renovation an easy, exciting experience. Trademark Building Company is the newest addition to the businesses owned and operated by the McGuckin family. In 1951, they started G&M Gutter, which still continues to offer top quality exterior services to builders and home owners all over Southeast Michigan. 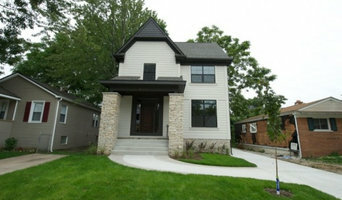 Two generations later, the McGuckins have expanded into building quality custom homes. They specialize in in-fill building in walkable communities and custom homes on larger lots in the surrounding communities. When you work with the McGuckins, you can expect to work with professionals who are established in the construction industry. They do the job right the first time and ensure that each new home is unique! Allen Wood Construction is a residential builder with over 30 years combined experience between owner Brian Wood and Jeff Allen. We perform the majority of on-site service. We are big enough to maintain extremely competitive pricing and small enough to remain constantly accessible. Labra Design+Build is an award winning design build company specialized in creating high quality environments. From custom homes to custom cabinetry, we strive for quality design executed by our meticulous craftsmen. About the Owner: Rufino is a designer with a wide range of construction skills, having been on a construction site helping his father since he was about 4 feet tall. Rufino excels at designing a home that truly fits the needs of the occupants. He has a Bachelor’s degree in Architecture from Lawrence Tech where he was trained to think outside the box and dig deeply to find the best design solution for the problems at hand. Oakwood Custom Homes is a full service design builder. We specialize in quality construction with superb aesthetic appeal. At Oakwood Custom Homes, we believe our business is about dreams – the dreams of our clients. We care about those dreams because our reputation is built on them. At Oakwood Custom Homes, we set the highest standards for building the home of your dreams. Oakwood is committed to always doing the right thing for the right reason, and approaching each day with the highest of Integrity. Oakwood is committed to being innovators in the homebuilding industry, and are constantly focused on improving the quality of our one-of-a kind homes. Oakwood is committed to delivering the best possible home Value to each of our clients. Oakwood is committed to being responsible to the community by employing Green Building Technology to protect the quality of our environment. Ron Kasperski, founder of Oakwood Custom Homes, has held a lifelong passion for transforming innovative design ideas into beautiful, one-of-a-kind creations. His passion and desire started at a young age. He started by renovating his 1st home himself which lead to several other home projects. He began acquiring first-hand knowledge and skills that would ultimately lead to a career in custom homebuilding. This “hands-on” experience, combined with a penchant for meticulous details and workmanship, serve as a benchmark, ensuring each Oakwood Custom Home customer receives the very best in quality and value in your new dream home. Forward Design Build’s team in-house team of designers and craftspeople provides a full-service approach to residential remodeling, custom homes and additions in Ann Arbor, Michigan. Creative Director Jef Forward believes that a successful project is a happy homeowner with a beautiful, functional home - completed within stated expectation of cost and schedule. Jef started this journey with his masters degree in architecture from the University of Michigan. He worked his way through school with local contractors on mid-size renovations, then moved to larger architectural firms, where he learned the fundamentals of how to run a successful design-build business. For the past 20+ years, the focus at Forward has always been on client satisfaction. The team has been carefully and slowly grown to provide the support necessary from the beginning of design to the end of construction. Our highly detailed-oriented team will be there to guide you in your remodeling project from start to finish. So, whether you know exactly what you want or you need help envisioning what your space could be, the Forward Design Build team is here to turn your house into a home.